Nicole joined the Cascade Forest Conservancy in 2016. She grew up in upstate New York, cultivating her love of nature by exploring the local forests and rivers. She received her B.S in Biology from St. John’s University with minors in Environmental Science and Chemistry. She moved from New York to Oregon to attend law school at the University of Oregon, where she received her J.D. and a concentration in Environmental and Natural Resources Law. 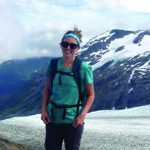 Prior to joining the Cascade Forest Conservancy, she held roles doing policy and legal work for Trustees for Alaska and Oregon Wild. In her free time, Nicole enjoys painting, snowboarding, and exploring the northwest with her dog.